This Post has already been read 576 times. POP 2 and POP 2 Pro have a 1 GB RAM, significant to get the regular tasks done very easily. POP 2 has been provisioned with an internal memory of 8 GB while its upgraded version, the POP 2 Pro has a memory of 16 GB. 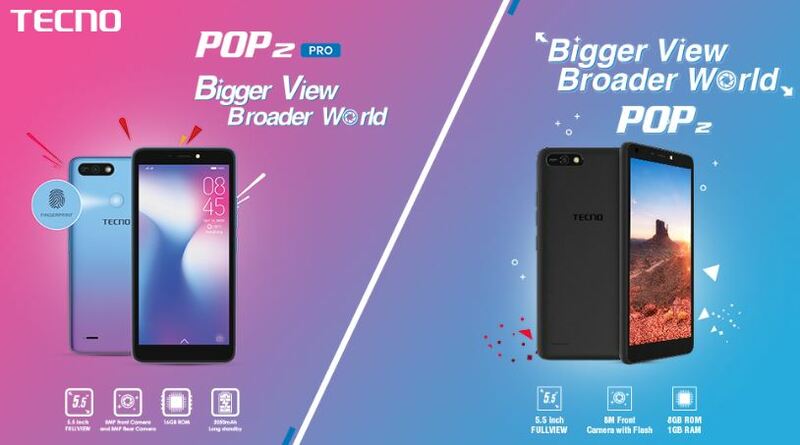 The story of POP 2 Pro continues much further as it has also been layered with a 0.3s Fingerprint Quick Snap to ensure the privacy of user. The easy to grab and elegantly designed POP 2 at a price of PKR/- 9,999 and POP 2 Pro at PKR/- 10,999 are easily available in three enchanting colors which are Midnight Black, Champagne Gold and City Blue.